Sydney Opera House recently devoted a special event in honour of one of the most revered composers of our time, known for his minimalist style and self-invented soundscape, tintinnabuli. 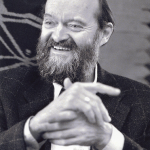 “The Composers 2013: Arvo Pärt”, was a celebration of Arvo’s work by the Sydney Youth Orchestra, the Estonian Philharmonic Chamber Choir, and musicians from the Sydney Symphony Orchestra. On 7 April, the Estonian Philharmonic Chamber Choir (EPCC), conducted by Tõnu Kaljuste, gave an impressive concert titled Arvo Pärt – A Sacred Journey with violin soloists, Satu Vänskä, Kirsty Hilton and Veronique Serret, and the musicians of the Sydney Symphony Orchestra performing alongside the chamber choir. Magnificat, Spiegel im Spiegel, Sieben Magnificat-Antiphonen, Tabula rasa, Fratres, Salve Regina and Cantus in Memoriam Benjamin Britten were all played, and at the end of the concert, the choir accompanied by the orchestra performed Adam’s Lament. The chamber concert, performed on 6 April at the Sydney Opera House Studio, was also devoted to Pärt’s music and played by Sydney Youth Orchestra musicians. The week before, the young musicians took part in workshops under Tõnu Kaljuste, where the works for the concert programme were prepared. They performed Arbos, Sonata Sancti Polycarpi by Biber (arranged by Edward Tarr), Fratres, Kvintetiino, Festina Lente, Spiegel im Spiegel, Summa and Mein Weg, followed by EPCC’s performance of Virgencita, a choral piece originally composed for concerts in Mexico. The concerts attracted considerable media coverage and tickets for the EPCC concert in the 2,600-seat main hall of the Sydney Opera House were sold out. In preparation for the Arvo Pärt Festival, Yarmila Alfonzetti, Head of Classical Music at the Sydney Opera House, also visited Tallinn at the beginning of this year, and the composer and Tõnu Kaljuste both shared thoughts in the resulting interview (accompanying video interview). The music series The Composers initiated by the Sydney Opera House last year is dedicated to the most influential composers of our time. The 2012 festival focused on the composer John Cage. 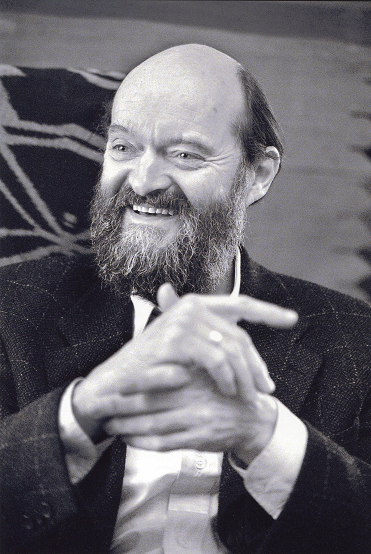 The programme for the Arvo Pärt festival was arranged by the Sydney Opera House team in collaboration with the composer. EPCC with Tõnu Kaljuste had already performed in Australia in 1993 and 1999, when they also presented the works of Arvo Pärt. « Adam Garrie: Is Eurovision a national obsession?